Automotive downsizing is an inevitability of high traffic densities and upwards spiralling running costs, states Iain Robertson, but the increasing desire for ‘up-market’ and frugal tiddlers should not fuel scary, sky-high price tags. It must be fairly difficult for carmakers to set-out to serve the demands of the new car scene, in an environment of ‘market pricing’, which they forged for themselves. While consumers often chatter about potential monopolies in telephony, energy and retail goods, where ‘market fixing’ has long been outlawed (yet the practice continues), even making noises to various pricing commissions and consumer bodies can take an inordinately long time to highlight and resolve potential issues. Small cars were always the manufacturers’ nightmare. While the uptake rate was good, profitability was always notoriously low. Yet, surely I cannot be alone in believing that, since the infamous economic ‘crash’ of 2007/8, vehicle price points have sky-rocketed. New cars that make the headlines these days usually have a price tag that is comfortably south of £10k. The well-appointed MG3, Suzuki Celerio and latest Vauxhall Viva boast £8,000-£10,000 price ranges that are designed to attract the cash-strapped motorist but I still feel that even they are slightly over-priced and that reality has been sidestepped. My personal transport, a Skoda Citigo, which is stocked to the gunwales with virtually every optional extra, including heated seats, alloy wheels, cruise control and sat-nav, breached the £11,000 barrier on its initial invoice. I went for it, because I point-blank refused to engage with a larger Octavia vRS model from the same manufacturer that was tagged at a whopping £33,600 in the specification that I wanted. I was also prepared to downsize. As it happens, it was a great choice and I remain eminently satisfied with it. 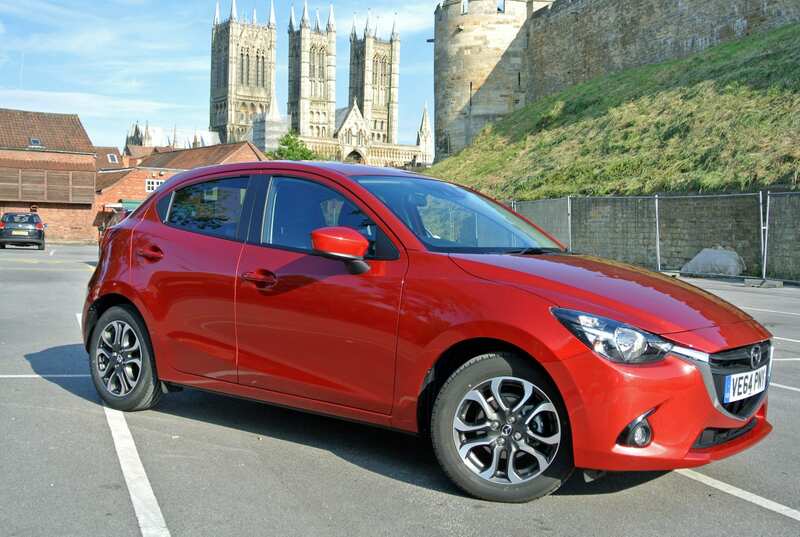 However, when presented with the all-new Mazda2, a model that is the Japanese carmaker’s equivalent of a Ford Fiesta, the last thing I expected was an asking price of £18,045, bumped up by £650, because of its ‘special’ Soul Red paint finish. Well, you know my argument on the paintwork score, because mica, pearlescent and metallic finishes all factor in an extra £530 in Mazda’s book…yet, the car needs to be painted and I am damned if the actual cost of applying such colourways should be as steep as the charge-out rate. I perceive paint as gross-profiteering, not solely by Mazda, but by every carmaker. Yet, the Mazda package is a fantastic one. The compact five-door hatchback looks splendid. It is well proportioned, very pretty (I would venture to suggest that it is easily the best-looking of all small hatches presently on sale in the UK) and exceptionally well-trimmed and detailed. It is a ‘glitzy’ little car that carries off its attractiveness without resorting to plastic-chrome blinginess. I truly love it…it is like a larger Mazda, just appositely downsized. Of course, it carries a ‘natural’ premium because this version is not just the Sport Nav top-specification but its engine is the latest four cylinder, 1.5-litre, twin cam, 16-valve turbo-diesel, boasting a modest 102bhp. Diesel engines are always a tad more expensive. Mind you, to pay an extra £1300 (approximately) over the cost of the 112bhp petrol alternative will demand that you are either a DERV fanatic, or covering several thousand miles extra in a year to offset the additional invoice cost. 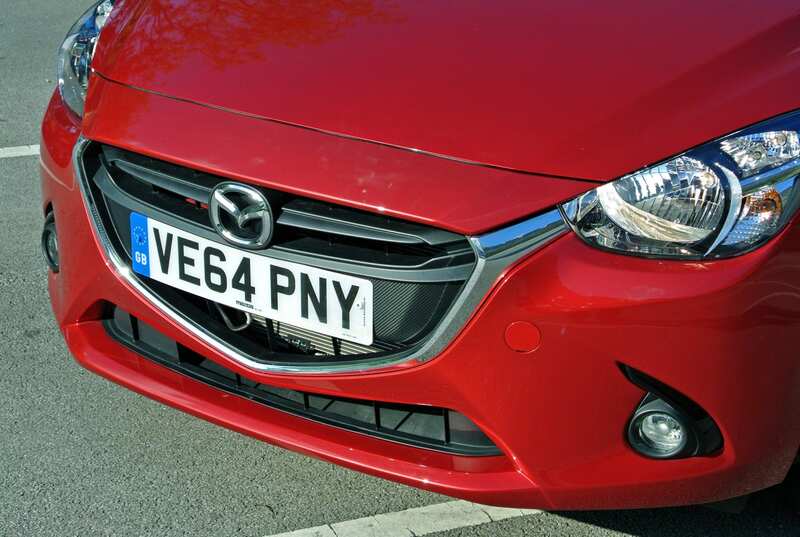 However, the differential is aided by fuel and emissions figures that make the Mazda2, with its SkyActiv-D technology, a spot-on rival to the parsimonious VW Polo 1.4TDi. Driven with immense forethought, I struggled to reach the posted 83.1mpg, although I did break 72mpg pottering from Lincoln to Milton Keynes and averaging 55mph in the process. This car is genuinely economical and its exhaust emissions (CO2) rating of 89g/km ensures that you are unlikely to be troubled by VED charges, even if the Chancellor breaks his word, which is highly likely, and reconfigures the tax liability table. The Mazda2 achieves this state of grace by retaining the lightweight construction that made its predecessor stand out from its rivals. I really liked the previous generation model. It was funky, light, agile and immense fun to drive, even though it did feel a little ‘downmarket’, with its impression of panel fragility and a lack of refinement. However, light weight equates to zesty performance and, as the former version was a sparky little thing, it came as no surprise that the latest iteration is equally sporty. In fact, boasting a top speed of 111mph and the ability to smash the 0-60mph benchmark in just 9.8 seconds, it is in lukewarm-hatch territory and more than capable of punching considerably above its weight. Its ride quality, courtesy of front struts and a torsion beam rear axle, is lively, if occasionally crashy over give-and-take road surfaces. However, its pleasantly weighted, electrically assisted power steering works faithfully to driver input and the 60-profile tyres, mounted on 16-inch alloys, are (thankfully) a touch more resilient than the 45 to 55-profiles fitted to rival products. The overall handling package is dynamically sound and well-controlled, with a gamey sportiness to its edge that is not at all unwelcome. I would venture to suggest that it is exceptionally well-judged and will not upset the vast majority of buyers. 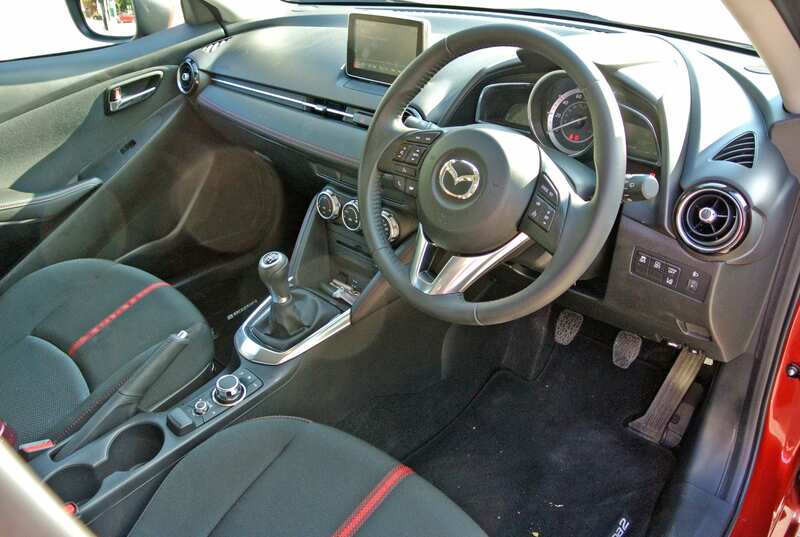 For tunately, the new Mazda2 is a sturdy little car and is now very refined in its well-stocked cabin. 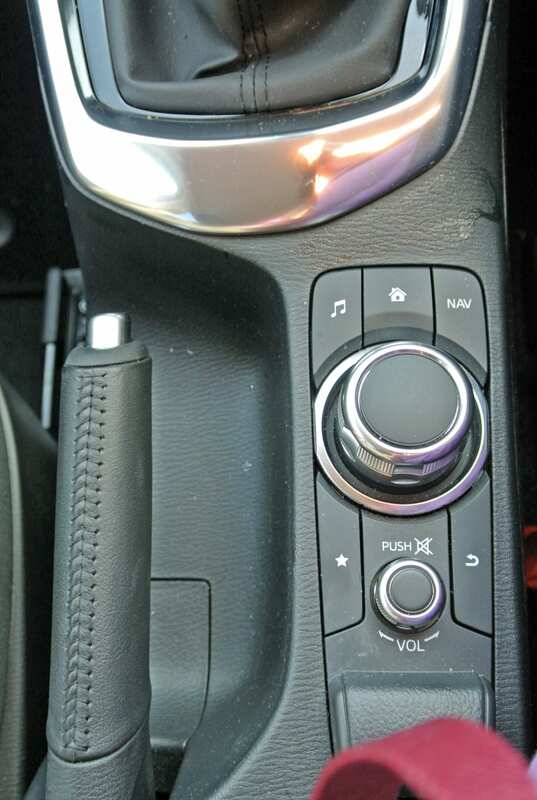 The stubby little gearlever controls six forward ratios that are not only perfectly in-tune with the engine’s performance graph but also possess a sportscar-like swiftness to the change quality that is eminently engaging. There is no automatic option by the way. 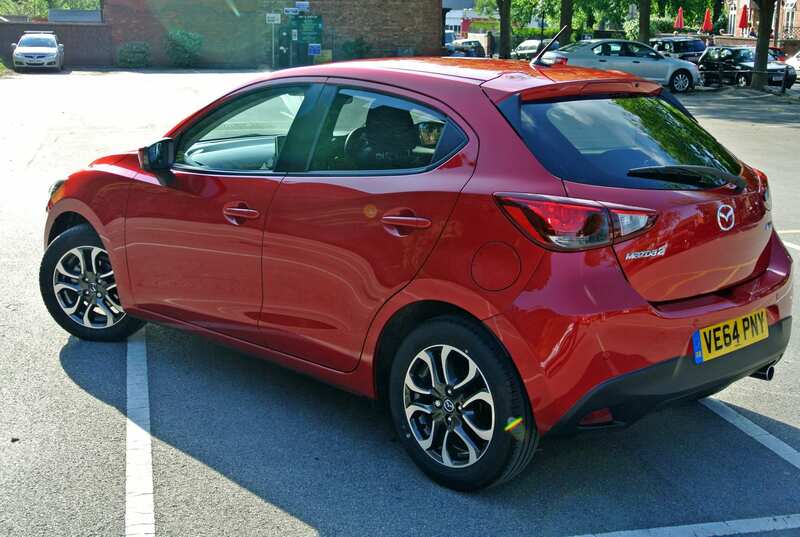 While many diesels can be memorably raucous, transmitting their ‘compression-ignition’ clatter through the engine bulkhead with gay abandon, that of the Mazda2 is so quiet that you can scarcely believe it is oil-fired, whether in town, battling with suburban traffic, or bombing across country. I particularly like the style of the instrument panel, with a main speedometer, flanked by a rev-counter to the left and bar graphs for fuel and water temperature readings (right). It is neat, even if the faces of the dials are a touch on the grey side, which can make instant readouts problematic. However, the biggest issue lies in the reflections of the upper portion of the binnacle in the windscreen line-of-sight. Not as noticeable nocturnally (thank heavens! ), in sunshine, the rake of the screen makes it intolerable, although I am uncertain as to how it can be remedied, short of a major redesign, or a change of moulded materials. As to space issues, there is plenty fore and aft and, while a fifth passenger might prove problematic, there is a belt and enough room for short trips. Bearing in mind that I stand two metres tall, the driving position is adjustable enough to allow me plenty of comfort, while leaving adequate knee room behind me for a teenager. For a smaller stature driver, there will not be an issue. The door pockets are deep enough to carry a drinks bottle and there are useful cubbies and slots for in-car paraphernalia, such as a mobile phone, iPod and other plug-in devices. 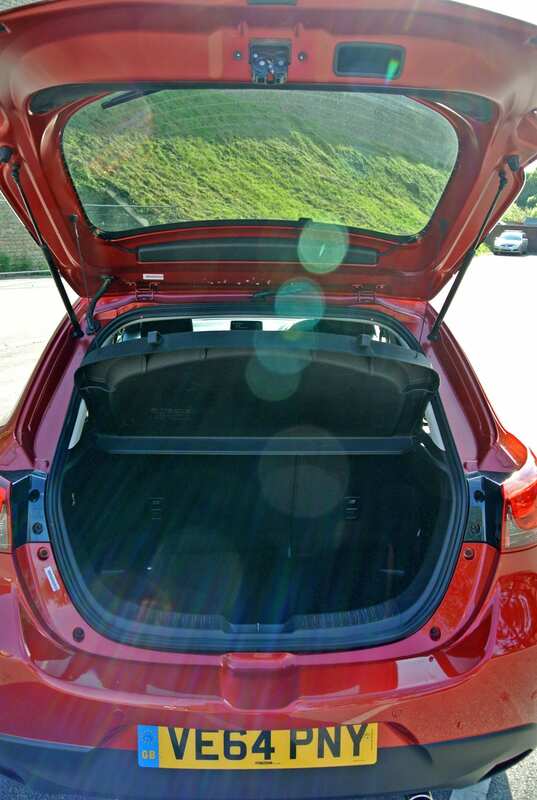 The boot is significantly more spacious than with the old model, thanks in part to the longer wheelbase of the new Mazda2. However, fold the back seats forwards to increase the load area to close to 1,000-litres and there is a nasty raised area created. Oh well, you cannot have everything in a compact machine. 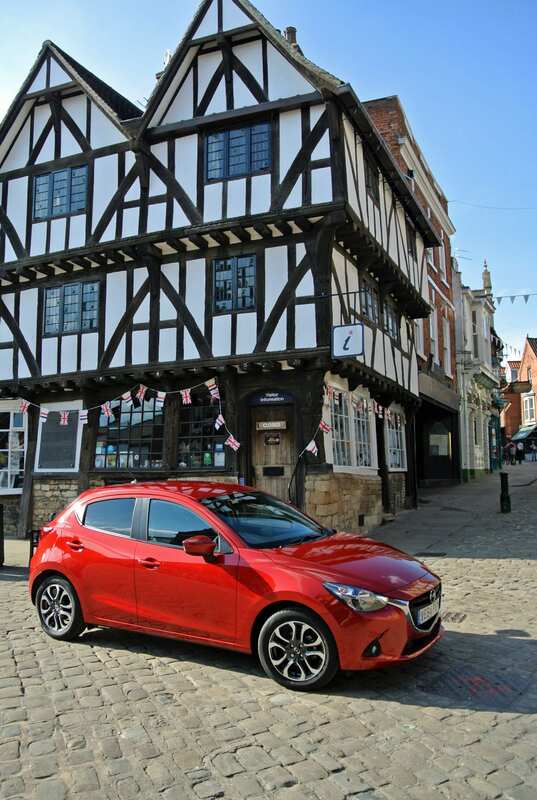 Featuring keyless access and ignition, the aforementioned large alloys, privacy glazing, auto-on headlamps and wipers, parking sensors, the integrated sat-nav and climate control, the new Mazda2 meets muster on the equipment front. 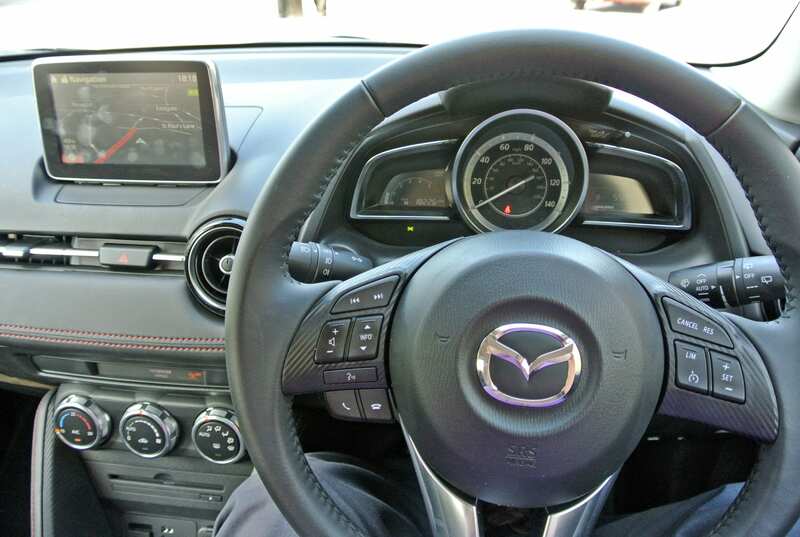 In fact, this version of the baby Mazda is as well equipped as I would like it to be and the centre console located HMI (human-machine interface) is easy to reach and operate logically, while the steering wheel mounted switchgear ensures that the dashboard is uncluttered. 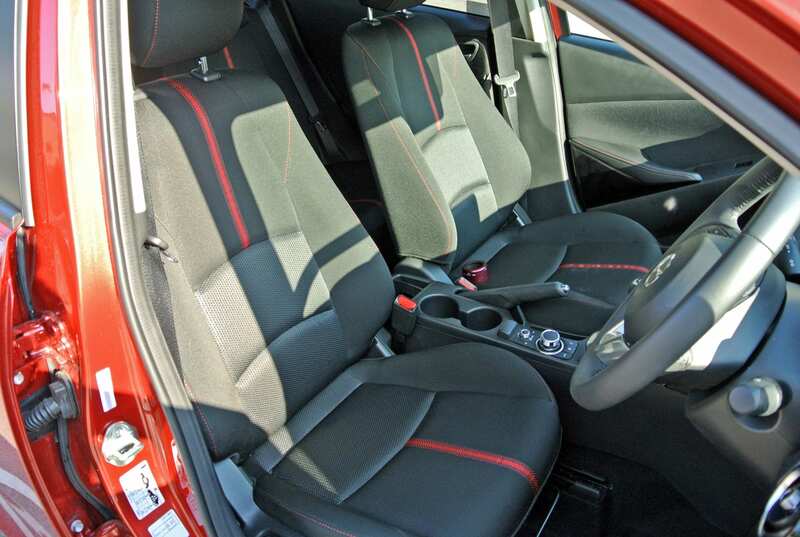 A red-stitched and cushioned leather strip adds high-end tactility to the dash-panel, matched by the door armrests. 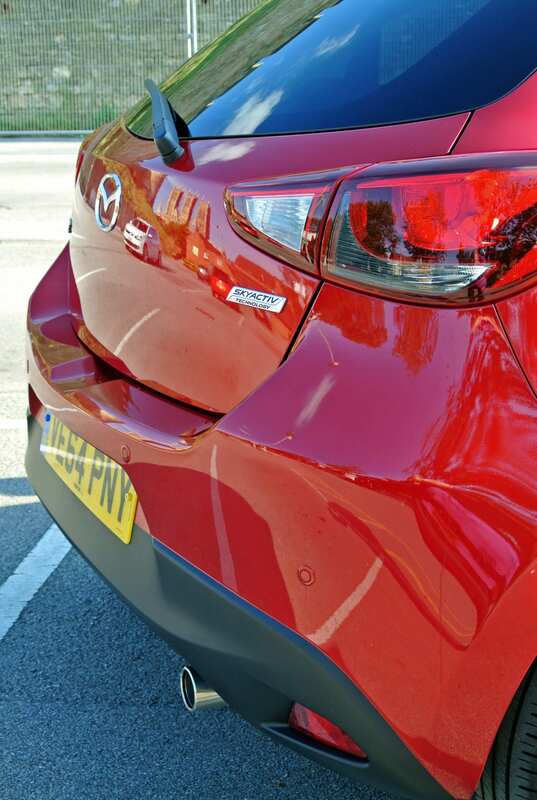 Conclusion: The new Mazda2 is the consummate small car. Comfortable, appositely well-equipped and roomy, it belies its small dimensions (it is just over four metres in length). Its weight conscious construction also delivers superior performance, while its excellent build quality is promoted by first-class levels of refinement. The only caveat lies in its pricing. Mazda used to possess greater honesty in this respect, which leads me to propose that you ignore the new tag and wait for a low mileage example to hit the used car forecourt, when this version might be priced somewhat closer to the £13,000 I believe it should be.